The capital is set to be turned into a city of cheese for three days at the end of May. Here’s what’s going on across London and how you can get involved. Most of us don’t really need an excuse to indulge in fantastic artisan cheese throughout the year, but the London Cheese Project – part of London Cheese Month which is happening throughout May – means there are more opportunities than usual to taste, discover and learn about delicious cheese. 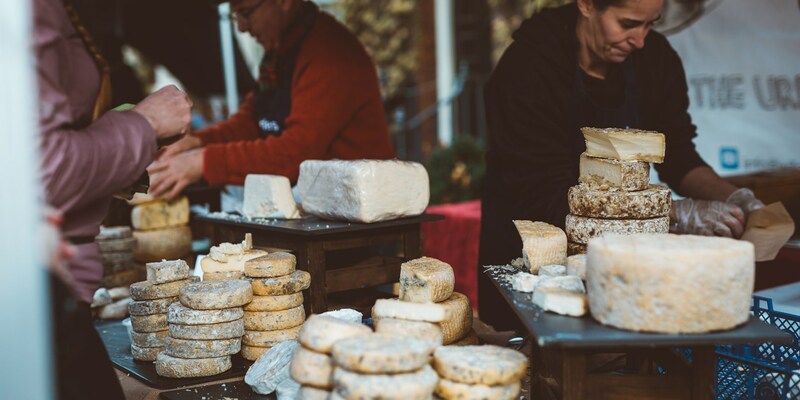 From 26–28 May, the Geffrye Museum in Hoxton will become home to the London Cheese Project festival, where the UK’s top cheesemakers, cheesemongers and chefs will come together and celebrate everything about the booming artisan cheese scene that’s grown over the past few years. 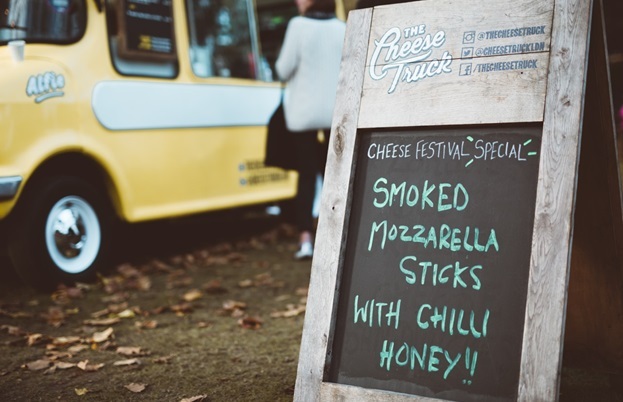 Visitors to the festival will be able to buy directly from the cheesemakers themselves – some of which have prepared limited edition, one-off varieties especially for the event – and taste their way around several street food stalls, which of course are putting cheese centre stage. 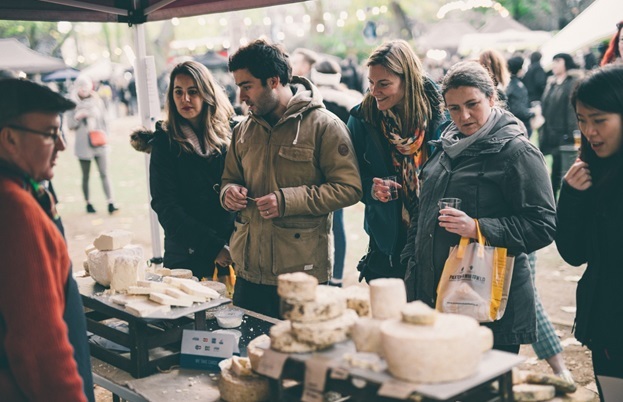 There are also talks, tastings, demos and competitions in the Peter's Yard Talks and Tasting Tent, as well as plenty of natural wines and craft beers to pair with the different cheeses. “We set up the London Cheese Project to celebrate the diversity and creativity within the British cheese industry with the aim to persuade consumers of the benefits of buying artisan cheese,” says cheesemaker and London Cheese Project co-founder Kristen Schnepp. Hero Hirsh, head of retail for Paxton & Whitfield - the UK’s oldest cheesemonger, says: “We’re thrilled to be taking part in this year’s festival not only over the weekend but also by hosting events at our flagship Jermyn Street shop. Some of the cheesemakers attending the festival include Fen Farm Dairy, Gringa Dairy, Quickes, Renegade Monk and Wildes, who will be in good company alongside cheesemongers such as Paxton & Whitfield, The Cheese Pantry and The Fine Cheese Co. The Great British Cheese Awards will also be the subject of a talk each day in the Peter's Yard Tent, so you can learn all about them and how to get involved. Tickets for the festival cost £5 and can be bought here. If you’re in the capital at the end of May and love cheese, this is a festival you should definitely check out.